CrossFit is a high intensity, functional group fitness workout that has been growing in popularity over recent years. People are getting fitter, stronger, and taking their sports performance to the next level all over the world with this great workout. CrossFit is now widely offered in Bangkok and many other Asian cities. So what’s it all about and how do you know if it’s right for you? 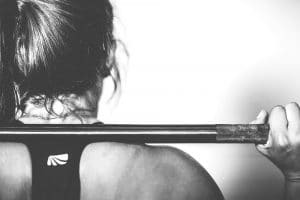 When you start exploring CrossFit options you can be forgiven for thinking there’s a lot of ‘jargon’ – because there is! 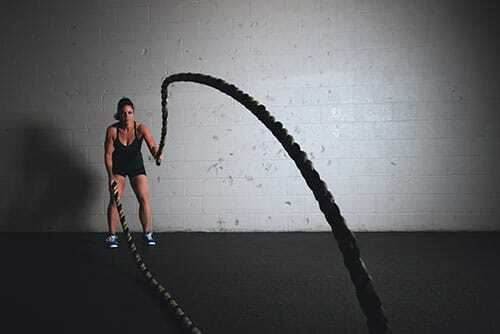 A CrossFit gym is called a ‘box’ and the term ‘WOD’ is widely used, and refers to the ‘workout of the day’. A CrossFit gym (box) usually has quite a simple set up. They’re often located in warehouses and the WOD may also take you outside, depending on where the ‘box’ is located. In it you’ll see equipment such as ropes, tires, weights, boxes, and pull up bars – not a treadmill in sight! What does a workout involve? You’ll always start with a 12-15 minute warm up to prepare your body for the workout ahead. This will involve movements such as jogging, star jumps, skipping, lunges and squats. The next 10-20 minutes is the WOD. Doesn’t sound like a long time? It’s intense, so it’s plenty long enough! The WOD varies from day to day and will incorporate high intensity interval training (HIIT) and strength work. This part of the workout is about challenging yourself and working hard. The next part of the workout lasts for 15-20 minutes and is usually strength and/or skill based. Finally, the cool down and stretch portion lasts for 10-15 minutes. This helps the body to recover safely, reduce the risk of injury, and improve flexibility. Be prepared to work hard. If you don’t like high intensity workouts, then perhaps consider another type of exercise. It’s most important to find a workout you will enjoy and want to come back to again and again. If you have injuries or a medical condition, or you have recently had a baby, seek advice from a qualified health professional before joining a CrossFit class. Although the coaches will help you modify exercises as required, it is much safer to focus on getting your body to a strong starting point to begin with. This may involve rehab exercises, and other gentler and more personalized exercises to get you to a base level of strength and fitness. I want to try CrossFit! How do I find out more? 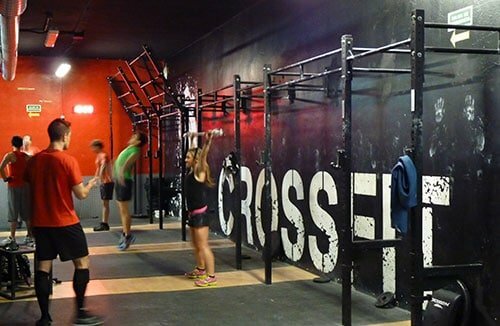 A number of gyms in Bangkok offer CrossFit classes. These include CrossFitArena, Training Ground, Aspire Club, and Ari School of Fitness. Check out our gym listings in Bangkok and check the ‘CrossFit’ box for more information.